Special Olympics Ontario supports the full inclusion of persons with disabilities as set out in the Canadian Charter of Rights and Freedoms, Ontario Human Rights Code, the Ontarians with Disabilities Act (ODA), 2001 and the Accessibility for Ontarians with Disabilities Act (AODA), 2005. It is the goal of the Ontario Government to make Ontario barrier-free by 2025. As we move closer to that date, it is expected that across the province businesses, organizations and government services and facilities will become progressively more accessible and responsive to the needs of persons with disabilities. The Accessibility Standards for Customer Service, Ontario Regulation 429/07 (also referred to as the accessible customer service regulation or the “customer service standard”), came into force on January 1, 2008. It is the first accessibility standard created under the authority of the AODA and is a significant step toward the overarching goal of a barrier-free Ontario. Special Olympics Ontario is required to be compliant with the regulation by January 1, 2012. Accessibility standards will set requirements in a number of other key areas and will be reviewed at least every five years. New requirements may be added over time. Whenever new or revised standards are developed under the AODA, this policy will be reviewed and updated as necessary to ensure consistency. This policy has been prepared to outline what the not for profit sector must do to comply with the regulation and what our members may expect from us. The policy is intended to benefit the full range of persons with disabilities, as defined in the Ontario Human Rights Code. Whether a person’s disability is apparent or not, everyone should be treated with courtesy, made to feel welcome, and have their need for accommodation respected whenever they interact with a person or program representing Special Olympics Ontario. Special Olympics Ontario is a charitable organisation dedicated to providing sport and competition to people with an intellectual disability. The organization takes pride in its commitment to provide high-quality athlete centred sport programs that focus on joy, spirit and celebration of our athlete and volunteer members. 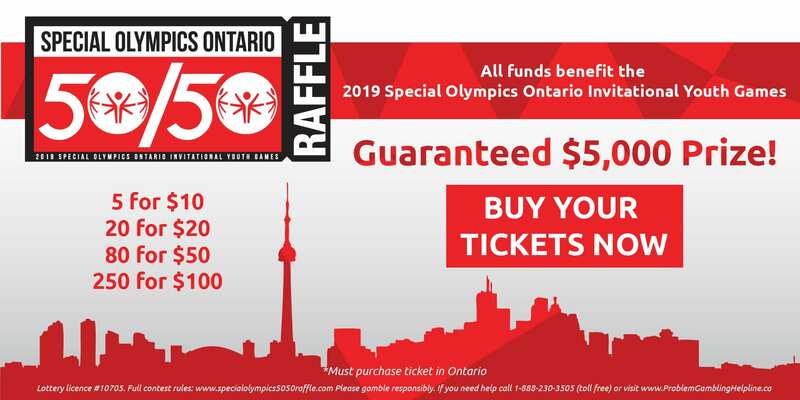 Special Olympics Ontario strives at all times to provide programs and services in a way that respects the dignity and independence of persons with disabilities. Special Olympics Ontario and its employees are committed to ensuring that members (and potential members) with disabilities receive accessible programs and services with the same quality and timeliness as others do. Special Olympics Ontario policies, practices and procedures relating to the provision of programs or services to persons with disabilities. Staff will be trained, as appropriate, on policies, practices and procedures that affect the way programs and services are provided to persons with disabilities. Staff will also be trained on an ongoing basis when changes are made to these policies, practices and procedures. Special Olympics Ontario is committed to serving persons with disabilities who use assistive devices to obtain, use or benefit from our programs and services. Special Olympics Ontario will ensure that staff knows how to use assistive devices available in their various locations for members, and inform members of the assistive devices that are available. Persons with disabilities may bring their service animal on the parts of our premises that are open to the public or other third parties. Special Olympics Ontario will ensure that all staff, volunteers and third parties dealing with the public are trained in how to interact with persons with disabilities who are accompanied by a service animal. Any person with a disability who is accompanied by a support person will be allowed to enter premises open to the public or other third parties with his or her support person. At no time will a person with a disability who is accompanied by a support person be prevented from having access to his or her support person while on our premises. When support persons are required (e.g., sign language interpreters, real-time captioners, attendants) for Special Olympics Ontario sponsored meetings, consultations or events, Special Olympics Ontario will arrange to reimburse support persons directly for their travel expenses (within reason) upon request, in accordance with our travel and accommodation expense guidelines. Special Olympics Ontario will communicate with persons with disabilities in ways that take into account their disability. This means staff will communicate in a means that enables persons with disabilities to communicate effectively for purposes of using, receiving and requesting Special Olympics Ontario programs, services and facilities. Special Olympics Ontario will train staff who communicate with members on how to interact and communicate with persons with various types of disabilities. The ultimate goal of this policy is to meet service delivery expectations while serving members with disabilities. Comments on our services regarding how well those expectations are being met are welcome and appreciated. Special Olympics Ontario will let members know what methods are available for giving feedback. If a method is not suitable, members may request another method. Privacy will be respected and all feedback will be reviewed for possible action that can be taken to improve services. Feedback received by Special Olympics Ontario will be redirected to a designated contact person. Where possible, complaints will be addressed immediately. However, some complaints may require more effort to address, and must be reviewed for action. In accordance with our complaint processes, members can expect an acknowledgement of verbal/telephone feedback, or feedback left on a comment card, within two business days, or a response to a mailed/e-mailed complaint within five business days of the receipt of the complaint. If a mailed/e-mailed complaint cannot be responded to within five business days an interim acknowledgement must be sent to the member.  The acknowledgement must indicate when the matter will be addressed and when the member will be notified, and Special Olympics Ontario will follow up with any required action within the timeframe noted in the acknowledgement. Feedback/response will endeavour to be in a format that is accessible to the complainant. Special Olympics Ontario will provide members with notice in the event of a planned or unexpected disruption in the facilities or services used by persons with disabilities. This notice will include information about the reason for the disruption, how long the disruption is expected to last, and a description of any alternative facilities or services available (if any). The notice will be placed at all public entrances and service counters on our premises. Depending on the nature of the disruption, notice will also be provided on outgoing telephone and on our websites. This notice will be provided in accessible formats. Special Olympics Ontario are committed to ensuring that their customer service policies, practices and procedures respect and promote the dignity and independence of all persons with disabilities. Therefore, no changes will be made to this policy before considering the impact on persons with disabilities. Any Special Olympics Ontario or operational policy affecting customer service that does not respect and promote the dignity, independence, integration and equal opportunity of persons with disabilities will be modified or revoked.